Golgota Gospel Concerts in Budapest will surely make your Budapest Christmas break more festive if you love gospels. 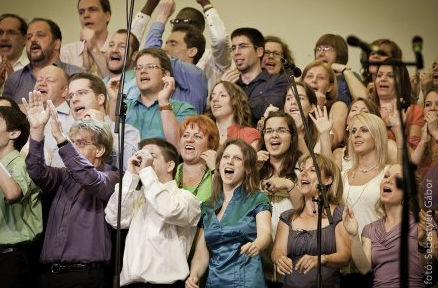 The huge choir of Golgota Gospel Korus, the Hungarian gospel choir, will give Christmas concerts in Budapest in December 2012 at various venues. December 16, 2012 at 7 pm at the Golgota Church, address: 13 Erzsebet korut, Budapest (on the big ring road, where tram 4 and 6 run all day). Free to enter.